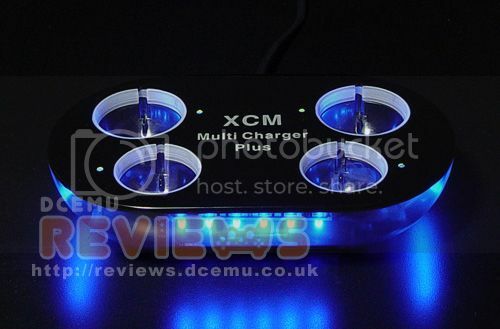 Having posted an exclusive video teaser of XCM's new Multi-Charger Plus a couple days ago, we now have exclusive pics of the Multi-Charger Plus. It definitely looks great. What do you think? and all devices that supports a 5v USB input such as Android devices (phones/tablets), Blackberry™, iPod™, mobile devices, MP3 players and many more! Play-Asia and Amazon will be selling it in the next few days. 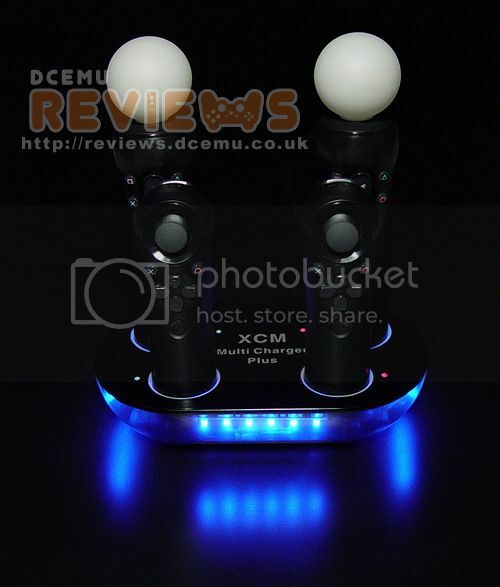 If you have no need for the PS3 Move dock stations, the original 4 USB port XCM Multi-Charger (review) is available. The Multi-Charger plugs into the wall and can be purchased from Play-Asia and Amazon. We'll definitely have a full review soon. Guests online: 508. Total online: 509.